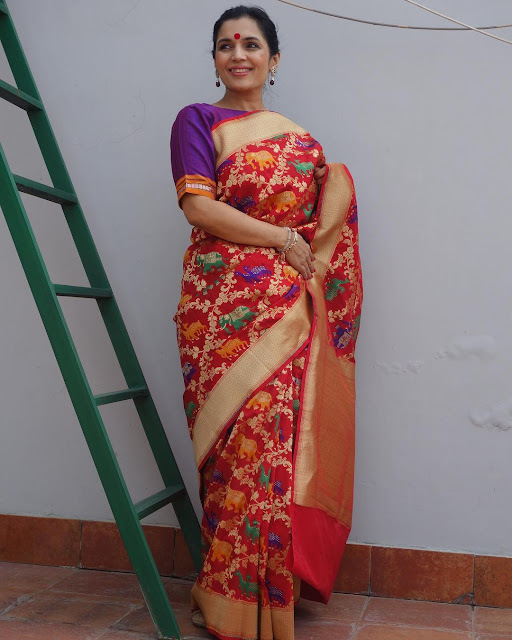 Banarasi Shikargah saree is a dance of nature on silk threads. A living heirloom, a study in opulence, a drape once made only for the royalty. 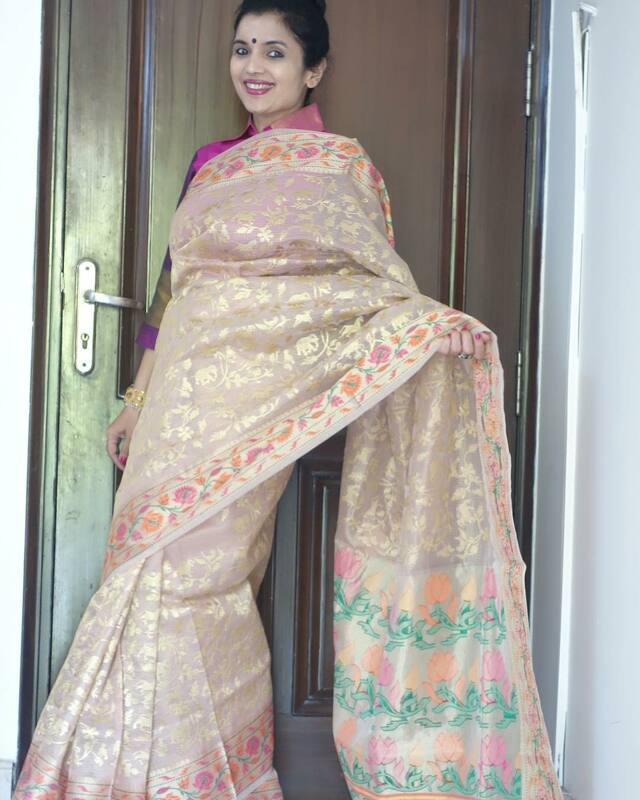 Banarasi sarees are known for their rich and regal look. 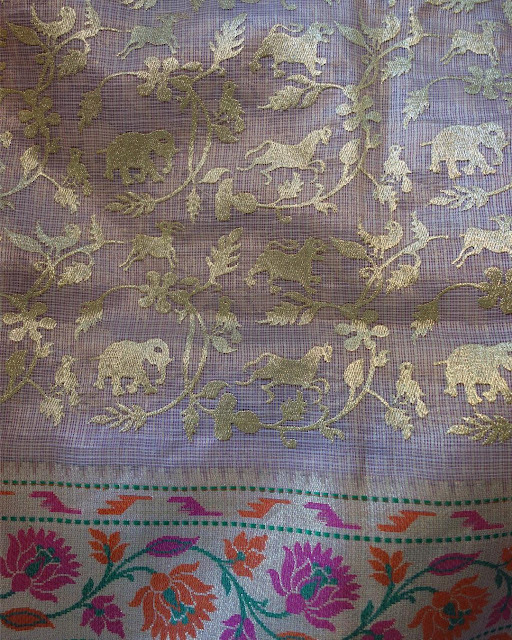 With zari vines, birds, animals, flora and fauna and scrolling jungle scenes, Shikargah is a unique, Banarasi handloom speciality. 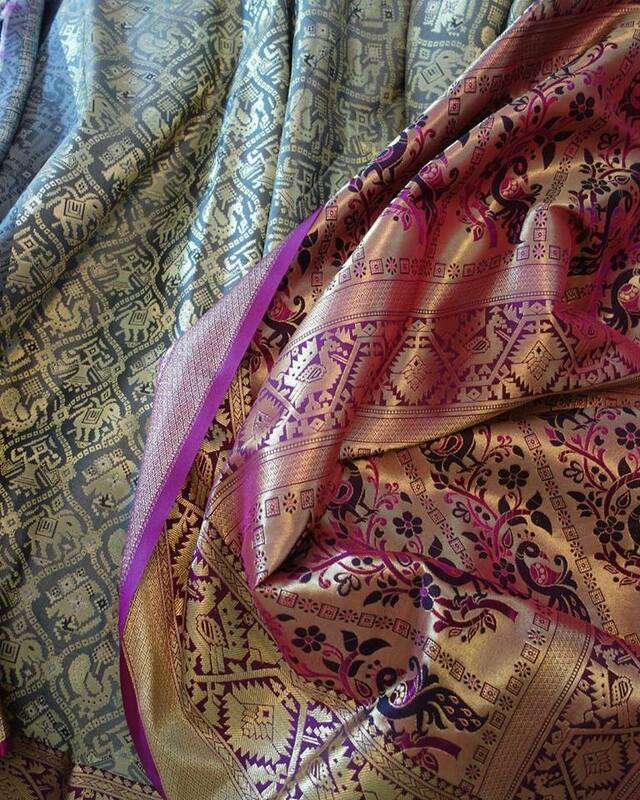 It’s hard not to be amazed by the intricacy of weaves and the exquisite craftsmanship on display in these fabulous sarees! 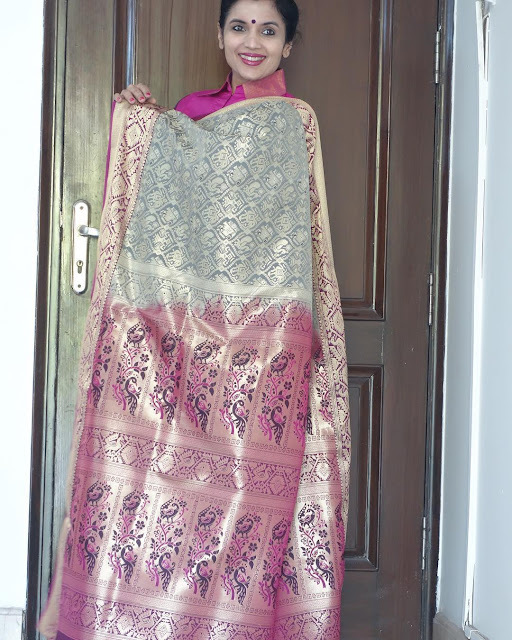 Banarasi Shikargah sarees are mostly heavy and can be worn only for marriages. 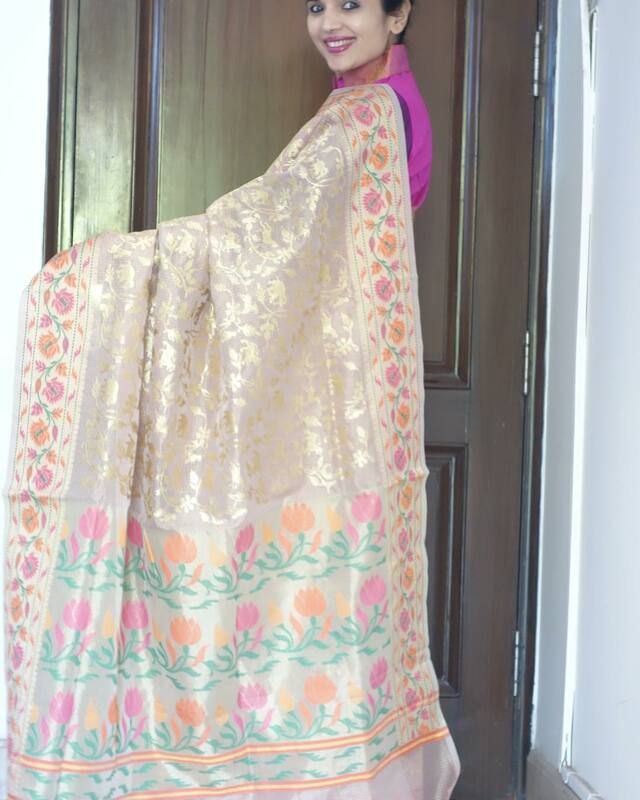 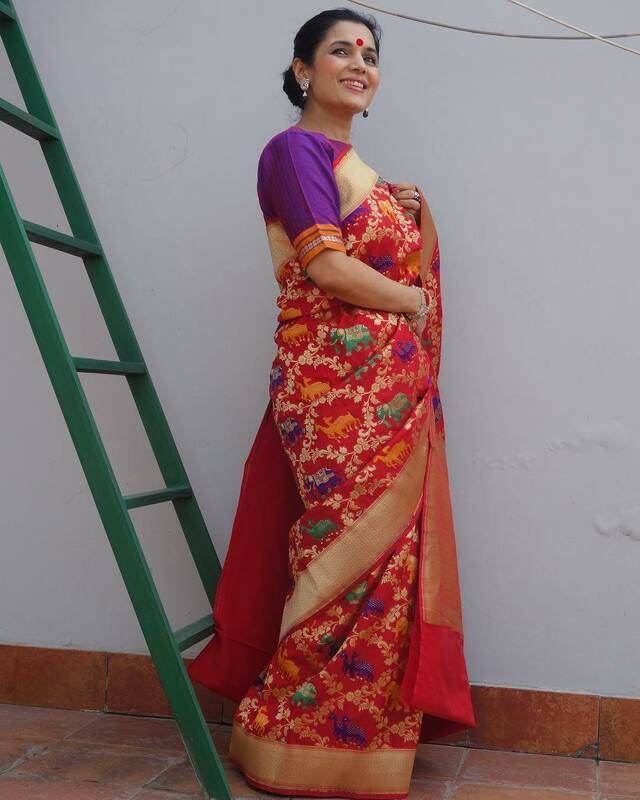 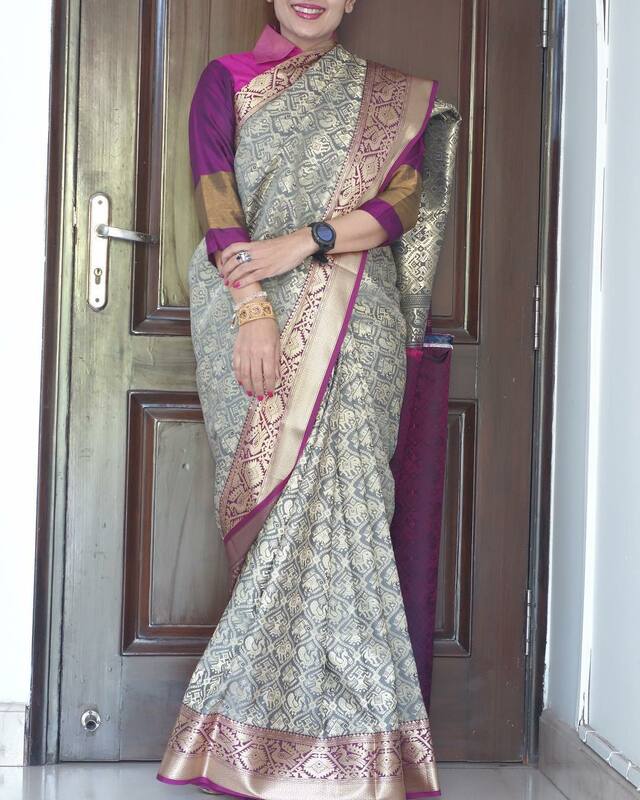 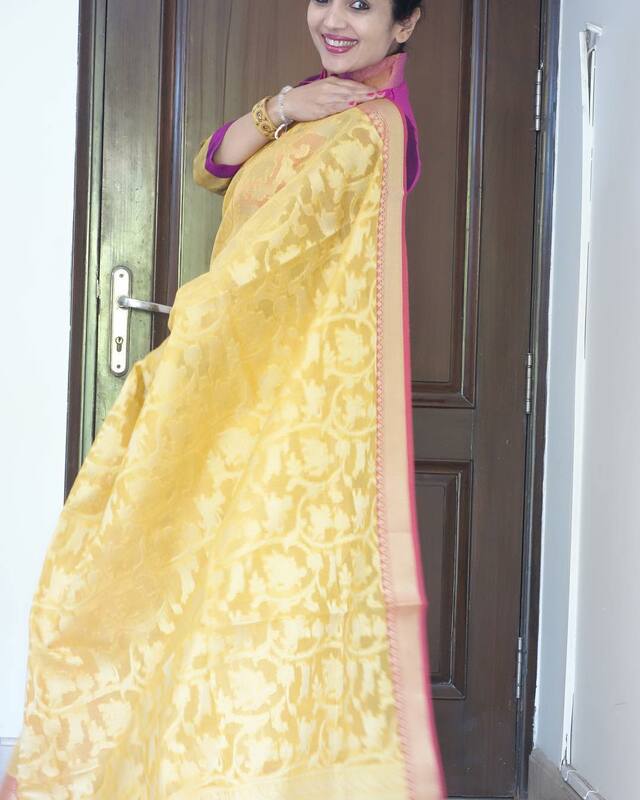 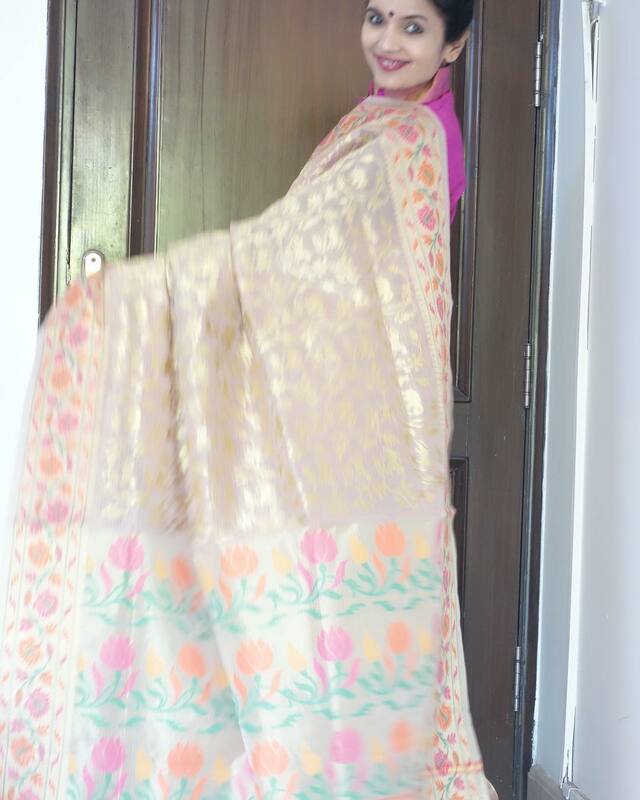 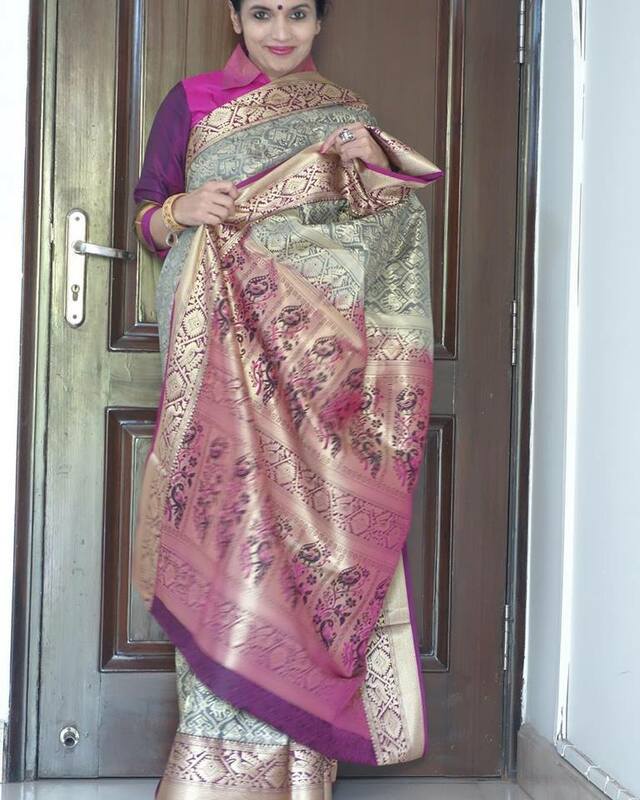 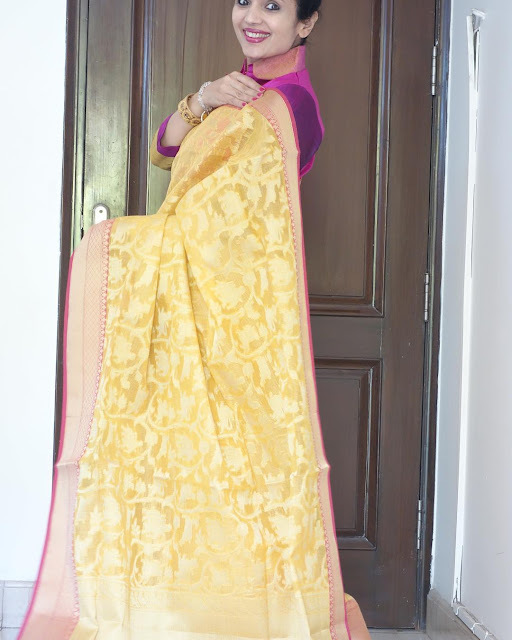 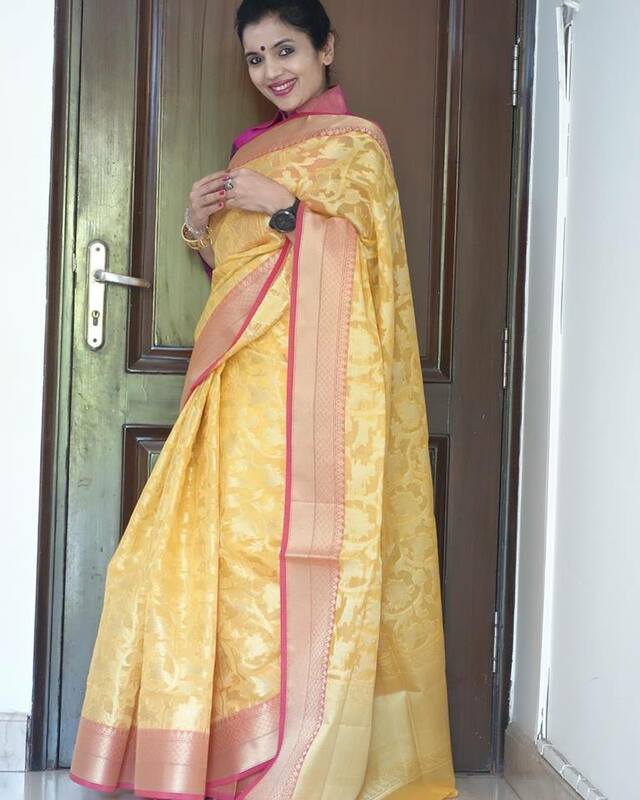 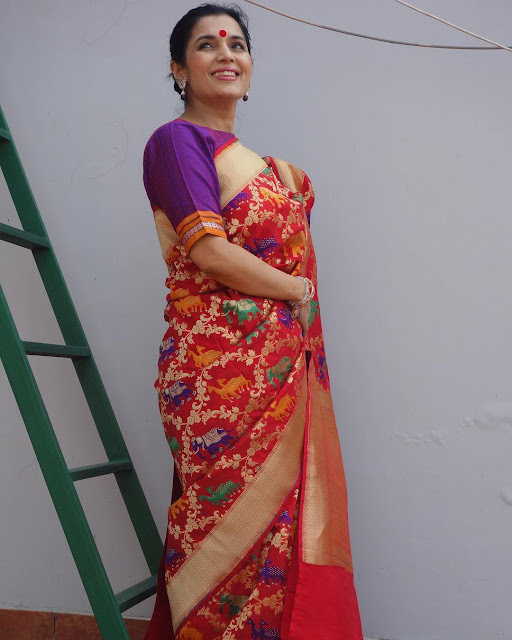 Handwoven Shikargah jangla sarees are classic and elegant. 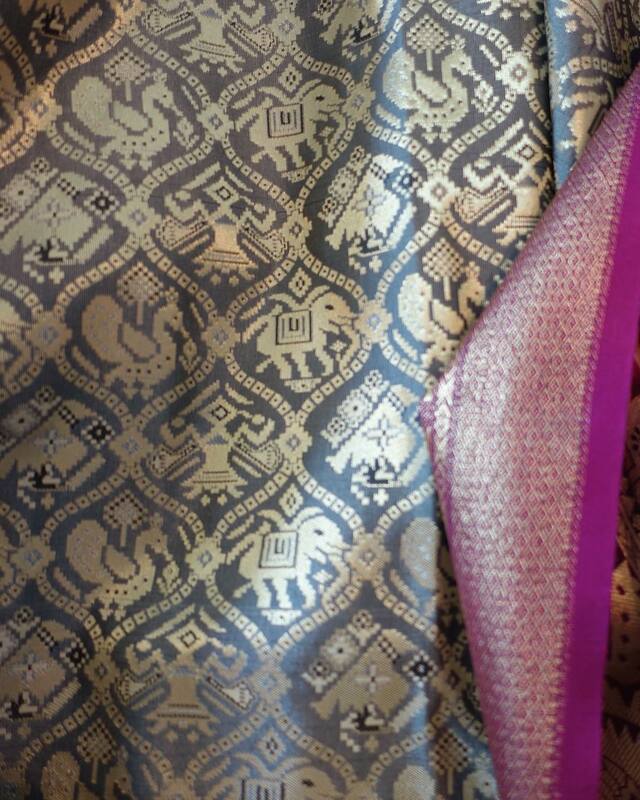 These sarees have katan silk warp and Tissue weft. 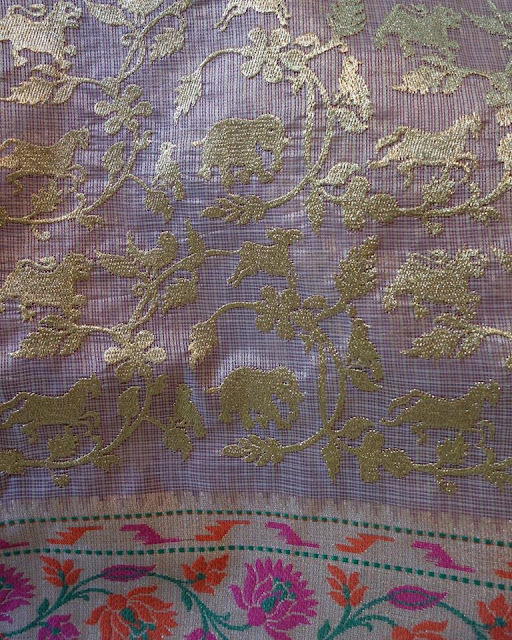 Woven only by a very few weavers in Varanasi, the shikargah saree is one treasure you must possess for the pleasure of having the most exclusive handloom silk.